Loeki de Leeuw - BN Licensing B.V.
May we present Loeki de Leeuw, the most famous lion of the Netherlands! 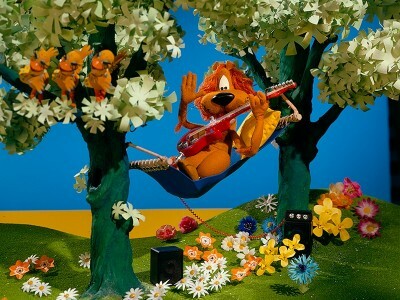 Loeki is created by Joop Geesink, a wellknown Dutch film producer. The little puppet made his first television appearance in 1972. He was shown before and after every commercial. Thus he appeared on television more than 50 times a day and became a much loved and iconic Dutch character. His short animated stories - more than 7000 -, were friendly and funny. He and his friends remained on television for 32 years, until 2004. The films have also been shown in France, Austria, Portugal, United Kingdom and the USA. Since 1995 the “Golden Loeki’ is the most prestigious award for the best commercial of the year. In 1984 daughter Louise Geesink took over the care for the little lion. She added a comic about Loeki and brought him to Japan, to host the theme park Huis ten Bosch. He also starred in various campaigns and made a guest appearance in the theme park De Efteling.